Kalamazoo— Children playing in a playground. A father and son looking at cars in a dealership lot. A gathering in a parking lot outside a restaurant. 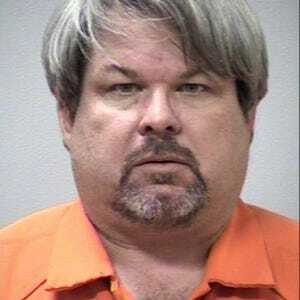 Normal activities enjoyed on an unseasonably warm Saturday evening turned into seven hours of horror when police say 45-year-old Jason Dalton drove to three locations in the Kalamazoo area and shot several people, killing at least six and wounding two for no apparent reason. A 14-year-old girl who had been pronounced dead by medical authorities was instead declared alive Sunday in critical condition, police said. Residents were gripped with fear for hours after reports surfaced that someone was driving around randomly shooting people. The carnage ended about 12:40 a.m. Sunday, when Dalton was arrested by a Kalamazoo County Sheriff’s deputy who recognized an SUV matching the one described by police as the shooter’s. Kalamazoo police and Michigan State Police were called for backup. Dalton surrendered peacefully, which surprised Kalamazoo Director of Public Safety Jeff Hadley. The shootings appear to have been random, Hadley said. “The randomness of it makes it an even scarier situation,” he said. ■Mary Lou Nye, 62, of Baroda, Mich.
■Mary Jo Nye, 60, of Battle Creek. ■Dorothy Brown, 74, of Battle Creek. ■Barbara Hawthorne, 68, of Battle Creek. Mattawan Consolidated Schools Superintendent Robin Buchler said her close-knit community is mourning the loss of high school senior Tyler Smith, 17, who was killed Saturday night along with his father, Richard, outside a Kalamazoo car dealership. Mourners streamed into a special prayer service Sunday night at Centerpoint Church. The lieutenant governor, area pastors and others spoke during the service. A source familiar with the investigation said Dalton picked up fares between shootings, CNN reported Sunday. Uber officials confirmed Dalton drove for the ride-sharing service, but company spokeswoman Nairi Hourdajian would not say whether he was on duty when the shootings occurred. 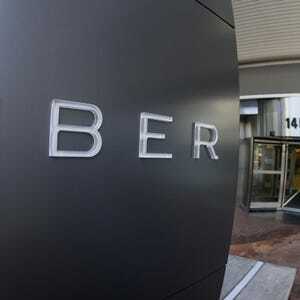 Uber’s Chief Security Officer Joe Sullivan said the company is “horrified and heartbroken at the senseless violence,” adding that Uber has contacted police to offer assistance in the investigation. Progressive Insurance confirmed that Dalton worked for the company before leaving in 2011. He was an insurance adjuster who did auto body estimates and once taught an auto body repair class at an area community college, said James Block, who has lived next door to him for 17 years. Police say Dalton, who remained jailed Sunday, has no criminal record and no known mental health issues. Getting said Dalton likely will be arraigned Monday on multiple counts of first-degree murder and attempted murder. The carnage began at about 6 p.m. Saturday with the shooting at the Meadows townhouse complex, police said. James George, 17, was inside his home playing the NBA 2K 16 video game with friends Devin Fletter, 17, and Travis Gettys, 16, when several shots rang out from near the complex playground just a few yards away, where children were playing. George said he then spotted his next-door neighbor lying on the sidewalk, bleeding. “She was telling people not to move her,” he said. The victim had just moved into the complex about a month ago, George said. Although police say the shootings appear to have been random, Gettys said children on the playground reported seeing the man about an hour before the shooting, asking the victim’s children what their mother’s name was, and said he was looking for another woman. “The kids didn’t remember what name the man was asking about, but it looks like (the victim) was the wrong woman,” Gettys said. Six bullet holes pockmark the siding of George’s unit. Four of the projectiles pierced the outside wall and went through a closet, just feet from where the boys were playing video games. George said his mother cleaned blood off the pavement Sunday. “She didn’t want the kids to have to look at that,” he said. It’s unclear what the shooter did for the next few hours. At about 10 p.m., police say he drove to the Seelye Kia dealership 15 miles away from the Meadows apartments and fatally shot a father and son as they looked at vehicles in the lot. About 15 minutes later, Dalton allegedly opened fire on two vehicles in the parking lot of a Cracker Barrel restaurant in Texas Township, killing four people. WOOD-TV reported Sunday that authorities are investigating reports that Dalton dropped off a group of people at a Fairfield Inn near the restaurant before the day’s final known shooting. Yellow crime scene tape surrounded the empty restaurant parking lot Sunday. A small memorial of flowers was set up in the branches a nearby tree, with more flowers adorning the base of the tree. A sign taped to the door of the Fairfield Inn directed news media to police. Among the victims of the Cracker Barrel shooting was a 14-year-old girl who originally was pronounced dead but was still alive Sunday, Hadley said. Neighbors say Dalton lived with his wife and two preteen children in a brown-paneled ranch in rural Kalamazoo County. Next to his house is a large garage with three bays. The garage windows were broken Sunday, and the door was open. Empty Monster energy drink cans were strewn throughout the garage, which Gary Pardo, who lives across the street, said Dalton used as a workshop to restore Volkswagen Beetles. Dalton bought a gun months ago, Pardo said. Pardo and his wife, Sally, said it’s not unusual for his neighbors to have guns, since many of them are hunters. “He was a nice guy. They were a normal family,” Sally Pardo said. At about 11:30 p.m. Saturday, the Pardos said they heard three shots from Dalton’s house. Then around 3:20 a.m., they looked out and saw cars surrounding the Dalton home. “They escorted someone into the house and a few minutes later a woman came out carrying a big plastic container,” Sally Pardo said. “We obviously heard about the shootings, and were shocked, but we didn’t know Jason was involved until we heard it on the radio (Sunday morning),” she said. Tara Egnatuk, assistant director of the Calhoun Community High School, said she worked for six years with Nye, who was retired, at the alternative school that serves many at-risk students. Egnatuk said Nye helped write the charter to create the school. Egnatuk spent hours in Nye’s classroom and was mentored by her during the time they worked together. A neighbor described Dorothy Brown as friendly and giving. Patrick Mallon Jr. said he didn’t know Brown well, but what he did know he liked. After she moved in two doors down in Battle Creek about 10 years ago, the woman everyone knew as “Judy” would come over with herbs she grew. Mallon says she would always wave and say hello when she drove off to the mall, where she walked. Mallon says whenever he and his wife went on vacation, Brown would keep an eye on the house and feed their cat. Mallon says Brown had two grown sons, with one living in California and the other in Florida. Mary Lou Nye maintained a positive outlook even when dealing with adversity such as rebuilding a house heavily damaged by a tornado, her neighbor said. She lived with her husband, Chris, on property that had been in his family for many years, said Carol Dinges, who lives across the street in Baroda. After the tornado about five years ago, the couple had to live in their camper for a while the house was being fixed, but Dinges said her neighbor took it in stride. “Every time I spoke with her, she was just pleasant,” she said. Nye worked at one time as a manager in a driver’s license office, Dinges said. The couple had two sons, though one had died at a young age from a heart ailment, Dinges said. Nye enjoyed going on camping trips several times a year with her husband, Dinges said. The neighbors would watch each other’s houses on the farmland-lined road during trips. “They went camping quite often. They would go several times a year,” she said. Nye worked part time in recent years in the preschool and childcare program at Immanuel Lutheran Ministries in Bridgman, just a few miles from Baroda. Pastor Jon Bendewald said she always had a smile on her face and was loved by the children she worked with. “It was never about her, always about making sure things were right for the children,” he said. “There is nothing we could have done to prevent this. It was a completely random act. This is a very sad day for the victims family and for the city of Kalamazoo,” Hadley said. Snyder praised the efforts of the community and law enforcement for their response to the shootings. “Their actions resulted in the suspect being caught before he was able to harm anyone else through these senseless and apparently random acts of violence,” Snyder said.